A multiple ironman (both full and half) race finisher. A time poor athlete who now specializes in assisting athletes find a way to the start (& finish line) of their dream race by integrating training seamlessly into their everyday life! Triathlon shouldn't have to be all encompassing or overpowering, it should be a simple lifestyle choice, the whole family can enjoy and be apart of! I've done it (multiple times) and so can you. Life is busy, everyone has a million & one things to do & get done. But if like me you have a desire to achieve something spectacular in your life, like an triathlon or an ironman! We can help! Together we can integrate the triathlon, training into your lifestyle seamlessly! Lets create your TRISTYLE! I'm TriathleteTed and I can help you to optimise your athletic performance, in the pool, on the bike or on the run. I can help you take the next step toward achieving your dreams in the amazing world of triathlon! 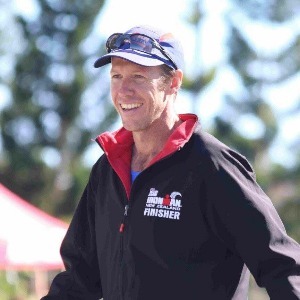 Ironman 140.6, Half distance 70.3, Challenge, Olympic, Sprint or Super sprint no distance or goal is unachievable with the right guidance & coaching! I am a husband, a father, a triathlete, a general manger, a son, a brother and an average Joe living my life to the best of my ability. Why coach, because I've heard so many people ask 'how do you fit it all in?' or 'I don't know how you find the time' or 'I couldn't do that, cause I don't have the time'. So I started coaching people to show people that anyone can do anything, if your heart & mind desire it. The athlete looking to maximize their training, by optimizing the time they have available. The time poor athlete! Success. Coach Terrance (Ted) Britt has been notified of your message.